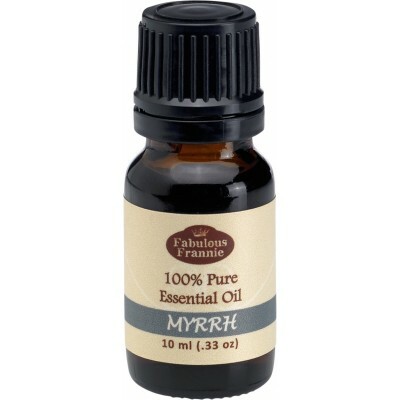 Myrrh is one of the world’s most renowned incenses in the world. It is known by many as one of the three gifts from the Magi to the infant Jesus. Use in a diffuser to release feelings of weakness and anger. Use in an inhaler before meditation or prayer to calm and open the spirit. Dilute with carrier oil and apply to minor wounds to reduce inflammation and protect from germs. Add to homemade deodorant for an earthy undertone. When used in a diffuser it can help remove excess mucus from the lungs. Aroma: Warm, earthy, woody, balsamic. Safety Information: Avoid throughout pregnancy, labor and breastfeeding. Warnings: As with all essential oils, never use them undiluted. Do not take internally unless working with a qualified and expert practitioner. Keep away from children and pets. If applying an essential oil to your skin always perform a small patch test to an insensitive part of the body (after you have properly diluted the oil in an appropriate carrier). Write a gift message during checkout.